What makes Ember.JS a good front-end development option for tech startup? If you have explored and loved Ruby on Rails for your application’s backend development, you will be the fan of Ember.JS too. Yes, this is the best way to welcome you to the world of one of the most talked about JS frameworks. Though Angular leads the charge and React surprises us, Ember is not far behind with a bucket of features. For your programmers and for your startups. Why big startups are running after the Ember.JS? What are the features of Ember.JS that make the framework must to have? Based on the Model–view–view model (MVVM) pattern, the JS Framework allows developers to create scalable single-page web applications. But, do not limit Ember as a good application for the web framework. Adept developers can scale up the framework to build desktop and mobile applications too. This is why the Ember.JS has been welcomed by startups and business across domains. Take Apple Music as an example where the Ember.JS is used as a feature of the iTunes desktop application. We have already told you, Ember.JS is the new-age Ruby on Rails for cutting-edge frontend development. For developers, they are great advantages in disguise. In Ember.JS, the developers are free from the need for huge amounts of repetitive code. Ember.JS is built with care for all the best web application practices. Plus, the sole purpose of the convention is the speed and the “Get Stuff Done” philosophy which is a massive boost for the startups who always battle hard to outpace their competitors. You are a startup. Your dream is to offer the best solutions. Not for handful but for the mass. Make sure your application has all the grounds covered. And there is another catch. As you will keep growing, your application needs to offer more features and robust to catch the user’s’ imagination. Uber, Airbnb, Netflix- all modern startup heroes have to evolve to sustain and win. Will your application framework help you there? Ember.JS is a great tool for your scalable and flexible startup. It was developed focusing ambitious web applications. Not for mere tweaks or little magic. The ground of new-age Tech stack is undergoing massive change every hour. Have a look at the JS field which is already crowded with diverse options. Among them Ember.JS tops the chart as they are eying to create the future best standards. Is the Ember.JS a good option for your startup? Think through the points we have shared here. Be it the backend or frontend, your application development is a highly sensitive issue and requires a specific and good product development strategy to decide on the tech stack. At DreamToIPO, we don’t follow any template and open up our tech solutions after a thorough idea-validation and product consultancy. With our process of “idea to clarity to reality”, we ensure the best tech solution for the startups and their application development. And when we decide that the Ember.JS will be the right front-end framework for your application, we ensure you leverage it for your startup from every nook and corner. 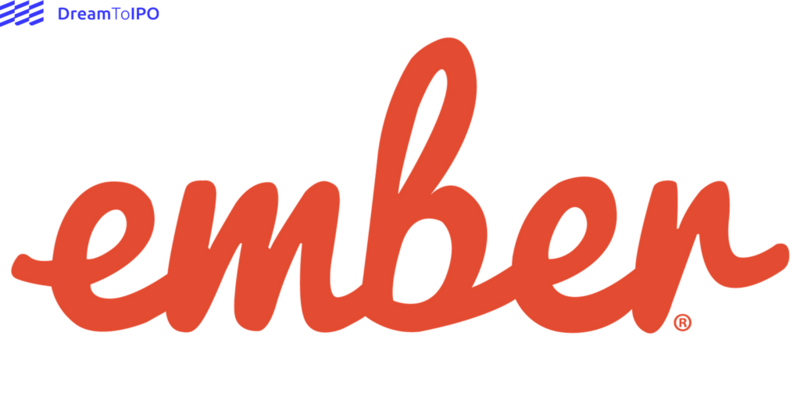 Let’s build your next application with the Ember.JS.